Have you worn dentures in your upper jaw for years? Did you know that there's an alternative, more comfortable option? If you've worn dentures for an extended period of time in your upper jaw, the bone will have receded, rendering it difficult to undergo implant treatment and giving your face a sunken appearance. A sinus lift makes use of the contours of your face to provide a second chance at the functionality and reliability of dental implants. Prior to the procedure, a number of tests will be run to ensure the suitability of the sinuses, which may include panoramic radio scans and CT scans. Similarly to a bone graft procedure, there are several options for the new bone material: from the patient, from other tissue sources (human or animal), or synthetic. Your dentist will advise which will be best for you. The sinus lift procedure will be performed by the dentist while you are under general anaesthetic. After a period of time, the site will be healed and ready for implants. 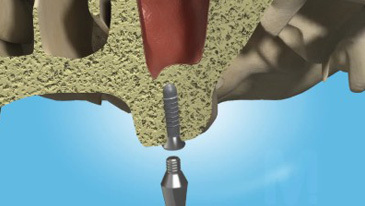 A sinus lift is a safe and clinically proven procedure and when completed with expertise and care it will provide the best, most stable base for life changing implant surgery. As with any surgical procedure, at our practice we ensure that you understand all aftercare instructions and we will check back with you regularly to ensure that the healing is going smoothly. A more youthful appearance will give you more confidence.